What is an English camp? English camps are short, intensive courses where kids get sent to fully immerse themselves in English for a period of time, usually around 1 month. The idea is that they are only allowed to speak English for the duration of the camp. Who works at English camps? It’s a bit of a mixture really but the majority of people who work at English camps are the ‘teach-travel’ type. Normally aged between 22-35, people are traveling in Asia and want to bolster their travel fund. There are also an older group of teachers who may be retirees. When are these English camps? They normally run in the summer or winter although their dates are never set in stone. Factor in something around December 26th-January 30th and July 15th to August 15th, give or take a week or so. Where can I work at an English Camp? They are becoming more and more popular throughout Asia, at this stage Japan and South Korea are the most prevalent. They also exist now and again in Taiwan, China and Thailand. Can I work at an English camp? Probably, although it is quite competitive so you have to be prepared to lodge a quality application. This is an awesome, short-term job and the secrets out so you can’t just wing it. You need to be from a native English-speaking country (Ireland, UK, Australia, Canada, New Zealand, South Africa and the US) so regardless of your English ability, if English isn’t your first language the embassies simply won’t give you your work visa. Also, you need at least a bachelors 3 or 4 year degree and if you have no teaching experience you’re going to probably need a TEFL too. Even if you have a year or two of teaching experience, a TEFL will make your application a lot stronger. Where do we sleep at English camps? It’s almost always the case that the camp will supply you with free accommodation, more often than not in university style dorms, often sharing with a fellow ELT (English language teacher). If they don’t supply accommodation they’ll most likely give you a stipend for renting your own place. What about the food at camp? Think high school/university cafeteria food in the country that the camp is held, that’s what you’ll get. Far from disgusting but certainly not gourmet, but hey – it’s free! How much do I get paid at an English camp? Most agencies and camps will pay for your flights to and from camp (or onwards to a destination of your choice) so depending on where you’re flying from, you will be paid accordingly. You’re looking at something along the lines of a return from from London/Toronto etc + $500-$900 tax-free pay. How do I get a job at an English camp? Like I mentioned earlier, it can be quite competitive. If you know of anyone who has taught at camps previously, that’s a great avenue to pursue. Failing that my new company, Teach dot Travel will be recruiting for both summer and winter camps in the upcoming months. Just comment below if you want any more information about that. Happy travels!! Hi. Is it too early to start planning for Summer 2018? I am a US citizen and at present working on my Masters in English in Europe. I have a BA and I am also dual CELTA and TEFL certified. My past experiences include teaching English to non-native speakers in both the US and Mexico. Please let me know who I should contact. Thank you. I am very interested in getting a summer camp role this summer! I have a bachelors degree and a 120 hour TEFL certificate. I have had a number of teaching roles but looking to get into teaching English. I will be flying into Singapore in May. Could you please provide some more information on how to apply for these roles? My name is Chaz. I am a school counselor. I hold a bachelor’s degree and a master’s degree. I do not have a TEFL certificate nor experience teaching structured English but I’ve volunteered for small English programs enhancing English skills of my friends from Japan. I have participated in Guy Healy Japan Summer Camp 4 years ago and I have a free summer to do something similar. I’m navigating through your website but it’s hard to determine what opportunities are available for this summer. And not sure if deadlines have passed or what not. But I am interested if there is something happening this summer in terms of camp anywhere. Please get back to me at your earliest convenience. Thanks! I’m a native English speaker from Scotland. I’m currently teaching English in Hanoi, Vietnam. I have 120 hour Tefl and a degree. My contract finishes in May and would love to find a summer English camp. Could you please give me some information. Currently teaching in Hungary and looking for a way to see Asia this summer. Would love to learn more! Hi, I’m a certified international school teacher currently living in China. Looking to make the most of the summer break by teaching at a camp. Would be much appreciated if you let me know about any openings this year! Thanks! Hi. 🙂 I am interested in doing some short term teaching in an english summer camp. Have you any positions available for this year or next year.? I am looking for a summer job just for a about a month in July. I am a fully qualified teacher and have two years esl experience. Any you have any summer camp positions available then I would love to hear from you. 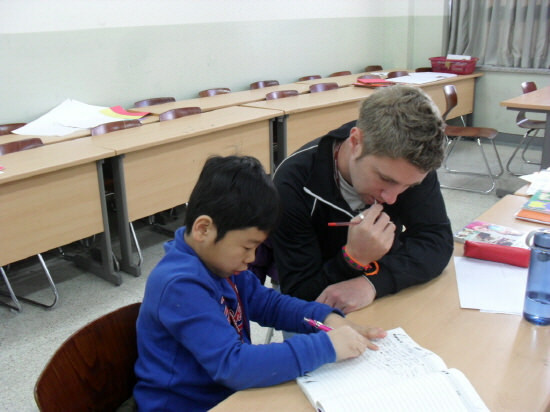 I’m interested in teaching at English camp this Summer, are you currently recruiting for teaching positions? Hey Johnny, Would you mind forwarding me some more info about the summer camps? I am currently US citizen but my nationality is South Korean. I will be going to Korea for a month as a vacation and wanted a summer camp job as well for experience with the korean students. I have noticed that there are not a lot of job posting for summer 2016 yet. When would be the great time to start looking since right now, there seems to be barely any. If I have two citizenship from US and South Korea, do you think I will still need Visa C for working? Hello Johnny, I want to work at a summer camp later this year. 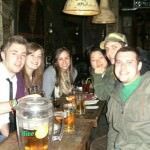 I am from the UK, I am 22 years old and have both a degree and online TEFL. I don’t mind where I’d teach but would like to ideally start in July. 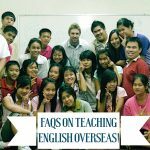 Could you send me any more information about where you’d advise for a first time TEFL teacher please, and how I can apply? Hello Johnny. I’m a US citizen and I’ve been teaching English in Italy for the past 13 years. I would love more information regarding your new company. Hello, my name is Conni and I am seeking a summer camp to work at in Asia. 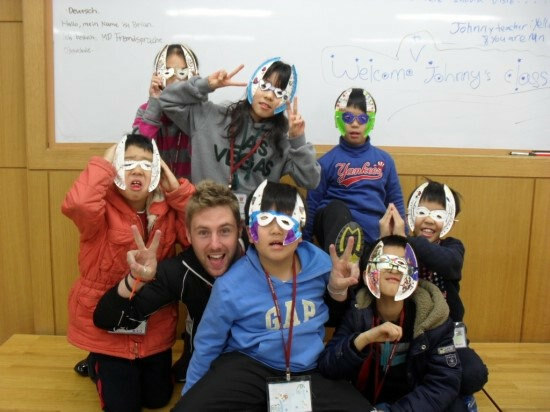 I worked at a summer camp in Tokyo for the summer of 2015 and would like to go to a different country. I have been in education for more than 15 years. My email address is ConniDifuntorum1@gmail.com. Thank you. I am from India. Though we are not an English speaking country, English has been declared as one official language of communication. Now after reading your blog, it seems that I am not eligible to apply for the camp. Therefore, can you be advice me on other teacher options for Japan and south Korea? Hello! I am a primary/junior teacher from Ontario, Canada. I am interested in teaching in a winter camp so was hoping you could give me some advice/information about that! I am so happy I came across your site. I have been a Teaching assistant for the last 14 years with a diploma in Creative Communications. I would be interested in any summer camp opportunities. My first choice would be Thailand but would be happy for the opportunity anywhere. If you could at all point me in the right direction of any opportunities for a summer camp, I would be most obliged. 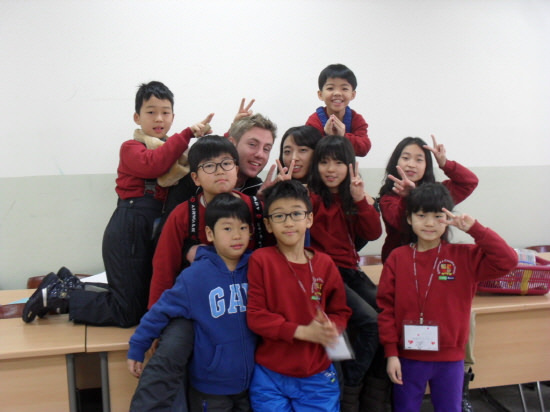 I’m currently a Biology teacher and I’m extremely interested in teaching abroad in South Korea for the summer of 2015. If you have any information please let me know! I am currently seeking employment for a winter camp for this winter (2014-15) although I am most interested in working in Hong Kong. Do you happen to have any ideas on camps there? My resume is a strong contender with years of experience. Hi, this websites great! thanks for all the tips and sharing your experiences! I’m wanting to do a english summer camp in either vietnam, thailand, cambodia this coming summer July/ August. I’m currently teaching in china, then travelling, but looking for a summer camp for after. Would be great to have some information, I’m finding it a bit of a dead end at the minute. 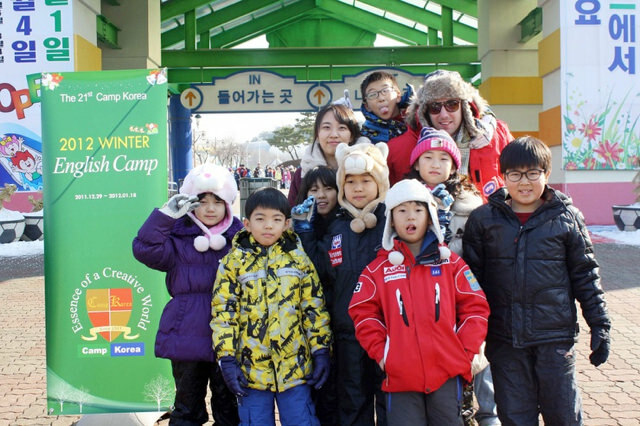 English camps are good, especially for non English speaking countries. We organize English camps here in Australia for overseas students. 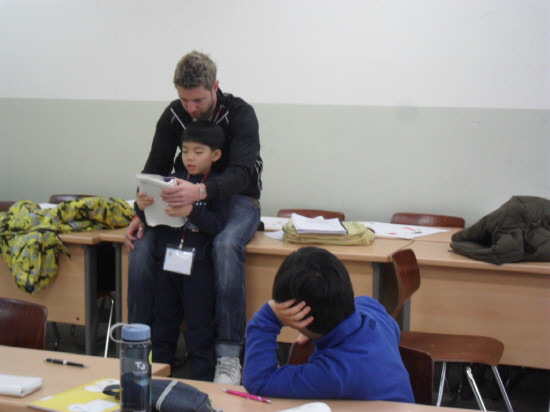 I’m looking to teach at an English camp in Korea this summer, but am only available for 1 month. Could you possibly guide me to where I should look for such opportunities? Hi Johnny, I’m really keen to teach English at a summer camp in Asia this year. Could you recommend any good camps? It’s hard to know where to start! Thanks. Thanks for the help, cheers! Hey Johnny, I’m really interested in teaching at a winter camp in January or February (I’ve just qualified from a Trinity TESOL course). I’ve scoured the internet for upcoming jobs for 2013 but cannot find anything beyond this month! Are there any websites you know about that I’m missing? aaaagh – it’s so difficult sometimes, i know :S Have u tried Dave’s Esl? This past summer I taught English in Italy with ACLE. In September I’m moving to Madrid to teach English there with NALCAP until June. I’m already looking into summer camp opportunities for next year. Can you please send me some information? I’ve never been anywhere in Asia and am extremely interested! Hey Johnny! I’d be interested in learning more about the camps! It would be a nice way to visit and learn about S.Korea since it’s too cold there for me to be there for a year! Haha! AS I mentioned before, you may recall, I’m really interested in teaching in an English camp. I felt a bit sad though that the governments won’t give me a visa because I’m not a native English speaker. Heck, I invested 20 of my years into this language, so I should be given a chance. As far as teaching goes, do you think that teaching for 5 years at a University (not English but other topic, not to mention teaching students from the international section) counts for something? 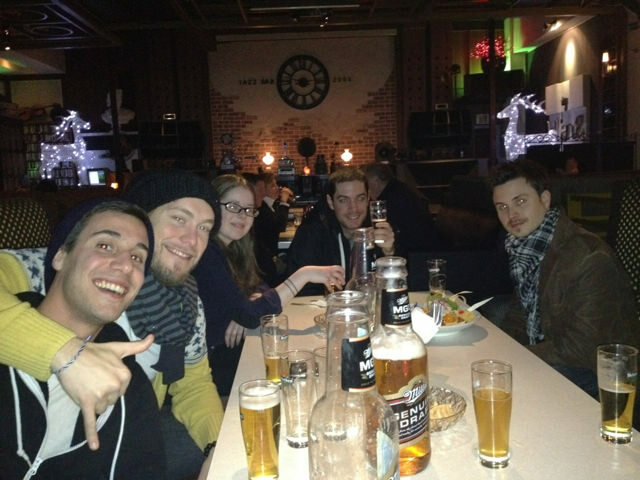 Many of the jobs at http://www.teachergig.com does not require you to be a native speaker…. Sending email to whatsup@@teach.travel does not seem to work. I had mine bounced back. Any idea, Johnny? cool emily! let me know when you’re here and I’ll see if i can help you out! Hell yeah, that’d be great. I’ll definitely be in touch, thanks! Keep up the great work! You’re an inspiration to all of us who seek long-term world travel..thanks man.